Rice flour pancakes with no dairy. Preheat metal frying pan, on medium heat. Pour wet ingredients into dry ingredients and whisk together until well combined. Make sure pan is well heated. Pour batter onto pan leaving enough room to flip. 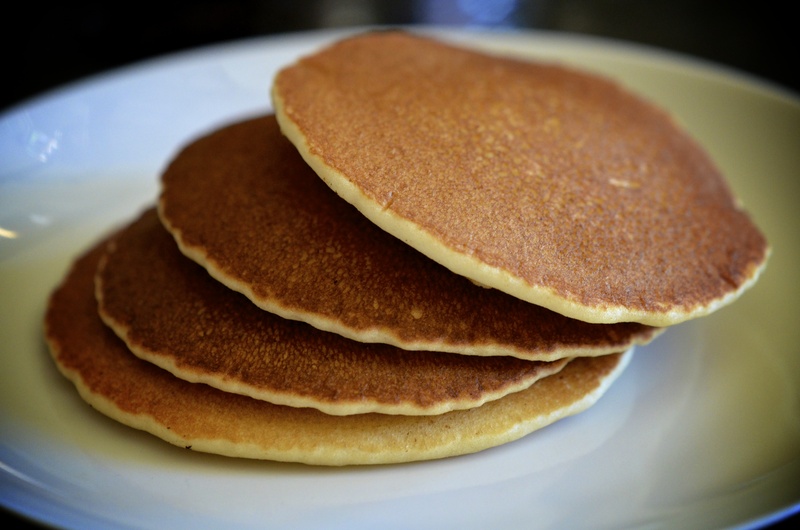 With a thin spatula flip each pancake once they have bubble on top and the sides look secure. (I find that each batter responds differently in the pan, so this will take some trial and error).